在西雅图，风景房和新建筑都特别热门特别抢手。房地产经纪人Anna Riley指出，"尤其是对国际买家而言，现代住宅和新建筑非常吃香，" Anna是Windermere的豪华房产部W Collection的东区（位于华盛顿湖东岸的城镇）专家。实际上，据Coldwell Banker Bain的豪华房产部的主管经纪人Thadine Bak所说，"去年的数据就已经令人感到震惊了。[在东区]我们看到，200万美元以上的新建住房的售卖数量比上年增长了80%。同年，东区的豪华风景房销售总额达到了令人难以置信的11亿美元。"
> 因为房源不足，在西雅图买房可能不是一件易事。W Collection经纪人Michael Doyle指出："由于库存少，大多数买家不仅在自己最心仪的地点找房，而且也考虑了他们第二、第三和第四可接受地带。。。如果他们的经纪人很优秀、人脉很广的话，那么他们就会得到一些还没有上市发售房产的内幕消息；不管是二手房还是新建房 。"
Whether you’re looking for a view home on Lake Washington or a high-rise condo in the heart of the city, the Seattle area is home to plentiful locations for luxurious homes with great views. In the city, prices reflect the fast-moving real estate market, with condos that can start at $1 million and single-family homes $3 million and up—that reflects the fast-moving real estate market across the region. It’s common to hear price and inventory comparisons to that other city by the bay, San Francisco, thanks to lower prices in an increasingly similar tech setting, comprised of home-grown core companies, such as Microsoft and Amazon, and myriad satellites of Silicon Valley companies, including Google and Facebook. 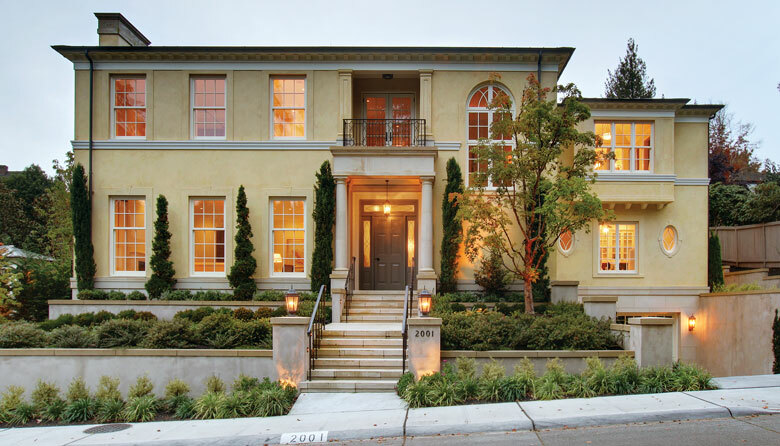 Dean Jones, principal and owner of Realogics Sotheby’s International Realty, says that Seattle is the latest city going through an urbanization trend that has already swept other West Coast cities, including Vancouver, B.C. and San Francisco. As the newest city on the densifying block, Seattle is “a relative bargain,” says Jones, and comes without a foreign buyer home tax or a state income tax. Bellevue (particularly neighborhoods such as Somerset and east Bellevue), Medina and Mercer Island are all popular places to find view condos and waterfront residences, which follows an overall real estate trend that has people—and millennials in particular—moving to the suburbs in search of bigger and newer housing that meets their growing family needs. Bellevue and Mercer Island’s highly-rated schools are a big draw for families as well. Bellevue’s Jing Mei Elementary and Tillicum Middle School feature Mandarin dual language programs. In Seattle, where the number of available single-family homes is slimmer than ever, luxury buyers are looking to condos. In Seattle, “The condo market in Seattle is super popular with people coming in,” says Riley, with Madison Park, Laurelhurst, and Washington Park all sought-after neighborhoods. Condos have a lot of additional benefits for international buyers as well, says Realogics’ Jones, such as better prices than single-family homes and the benefit of presales. “Condos offer lower price points and the opportunity to purchase during presales with just 5 percent down payment and without multiple offers like houses that are higher priced and oftentimes more competitive.” The extended two-year closing process, says Jones, is also a perk of presale condo buying. In addition, they’re a great investment, says Jones, easy and profitable to rent out, and unlike in the past, they have been holding their worth, thanks to increasing median home values, up 19 percent between 2016 and 2017. One of the most hotly anticipated condominiums in Seattle is the unique Weber Thompson-designed, 41-story Nexus, slated to open in 2019 and as of press time, 92 percent sold. In Bellevue, One88 is a gorgeous 21-story glass structure in the heart of downtown, designed by Vancouver-based Amanat Architect, that has sweeping views of the Cascades and Lake Washington. As of press time, it was 70 percent sold. Prices range from $800,000 to $5 million, with nothing available below $2 million. Whether a condo or a single-family home, there are a few common amenity trends that are in high demand. 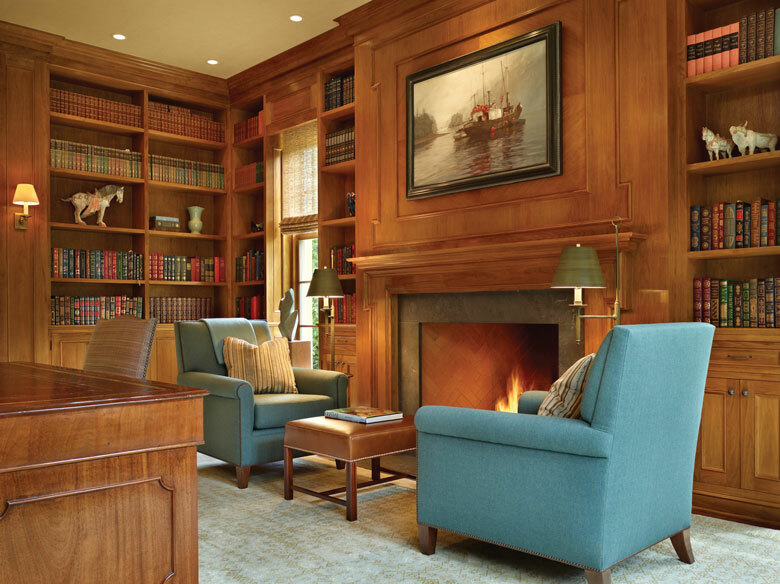 Sprawling common areas that blend into one another and to the outdoors are de rigeur in most single-family homes. Generous great rooms are connected to heated outdoor spaces via large sliding or folding doors, blurring the lines between indoors and out, according to Riley. That concept extends throughout these homes, including in the kitchen, according to Riley, which often feature large hoods centered over a kitchen island, where people can gather. Steam ovens, which cook food faster, are also in demand, as are spice kitchens—a smaller kitchen adjacent to the main open kitchen for cooking intensely fragrant dishes. They often have their own ventilation system, so all those open gathering spaces avoid smelling like yesterday’s meals. Many homes now also include what Riley calls the “Gen X suite,” an attached or detached unit or area where extended family can live—whether those are adult children that come back to live at home or relatives who live far away and want to move closer. Livable Outdoor areas are as elaborate in many of these homes as the interiors—their heat is built in, rather than via heat lamp, and covered, extending naturally from the home and making it usable year-round in the Puget Sound’s temperate climate. Decks and back yard spaces are outfitted like your living room with fireplaces, mini-kitchens, inside-style furniture and hookups for electronics like a flat screen TV. For additional tips: Realogics offers a “Best Practices” guide online (in Mandarin and English): To find this, and other resources, visit rsir.com and search for “international buying”. Seattle-area real estate experts also recommend you look at home values and appreciation trends in area and the particular neighborhoods in which you’re interested. 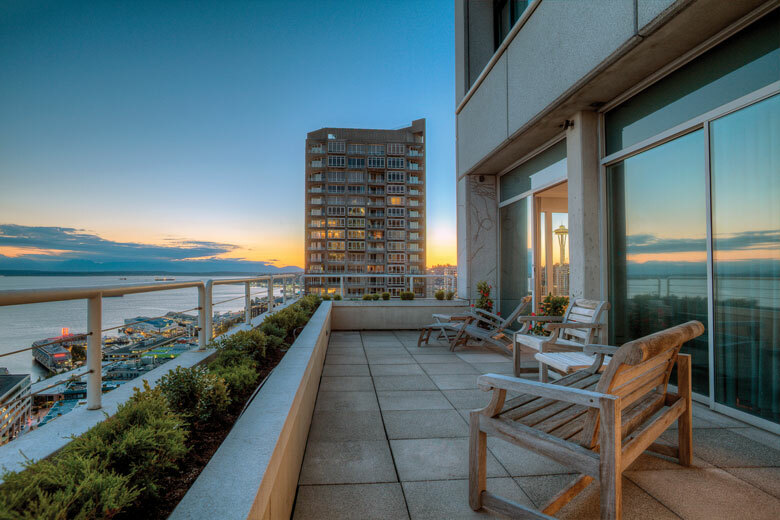 According to Zillow, median appreciation across the cities of Seattle, Bellevue, Kirkland and Redmond for single-family homes between 2015 and 2017 was 33.46 percent; for condominiums, 40.44 percent. Good numbers by any measure, but here’s a closer look at some additional real estate data. The highest priced home sold for $23,375,000 in 2017 and for $26, 750,000 in 2018. * These are the places that had more sales than previous years. bigger eastside cities are not here because they didn’t have the growth these smaller ones listed do.